It’s the last hurrah of the summer, Labor Day weekend! Time to prepare for cooler temps, Fall festivals, settling into a school routines, and hearty food. This weekend we had not one but TWO cookouts to attend and they were not without some delicious food. So for this WIAW, I bring you my Labor Day Grub. My family and my sis’ family headed to our parent’s house for a cookout. We had a potluck cookout where we all brought our own meat and a side to share. We bought ground meat for burgers for this week’s plan, so we just used it for the cookout instead. I also made my super yummy, highly addictive spinach dip and a simple to make Italian pasta salad. I’ll post both recipes tomorrow so come back and check that out! 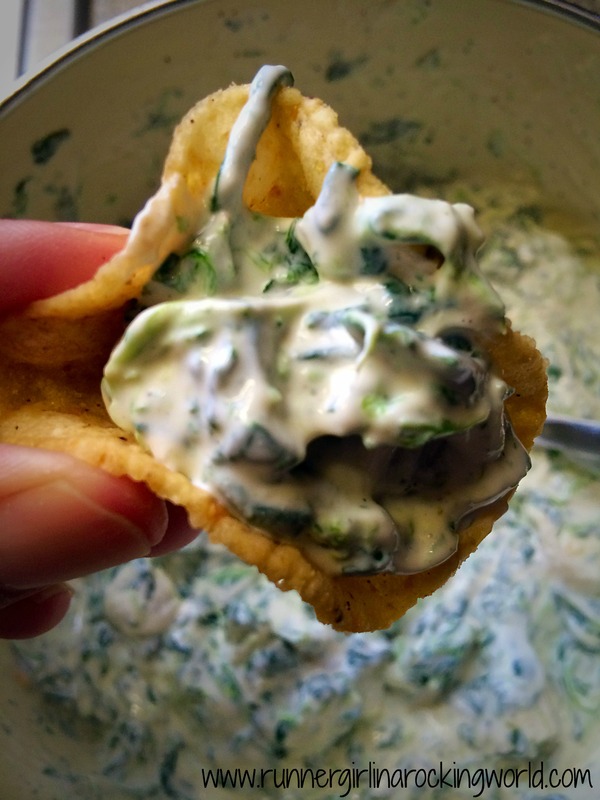 Here’s that yummy spinach dip! It was Nick’s family’s side for Monday’s cookout. 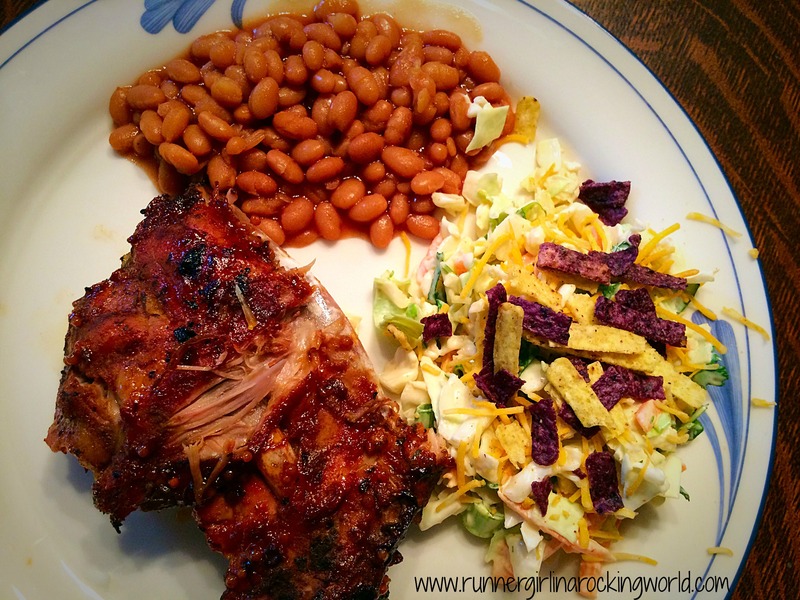 His dad made some amazing ribs, his brother brought some baked beans and we brought our favorite Southwestern chopped salad. Everything was so tasty and although I can take or leave ribs usually, I was in love with these ones. They were seriously the best ones I’ve ever had. 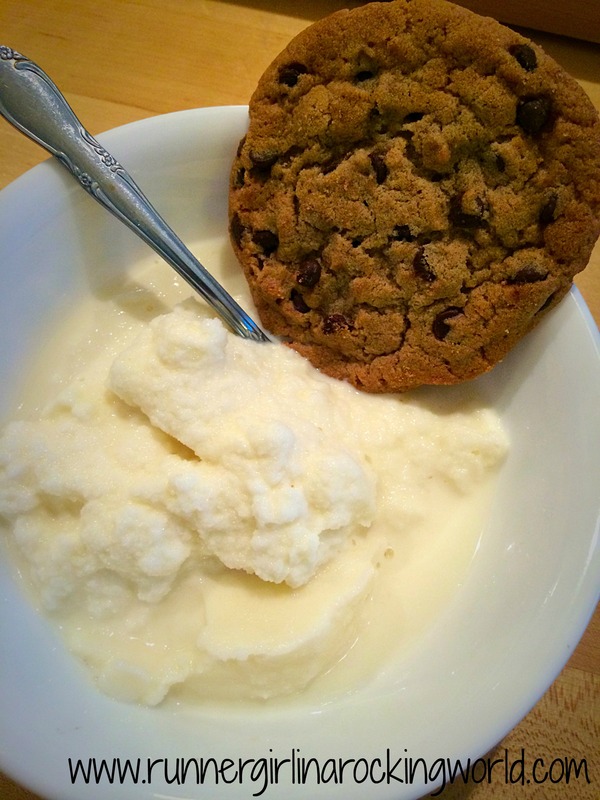 And for dessert….homemade ice cream and a chocolate chip cookie! 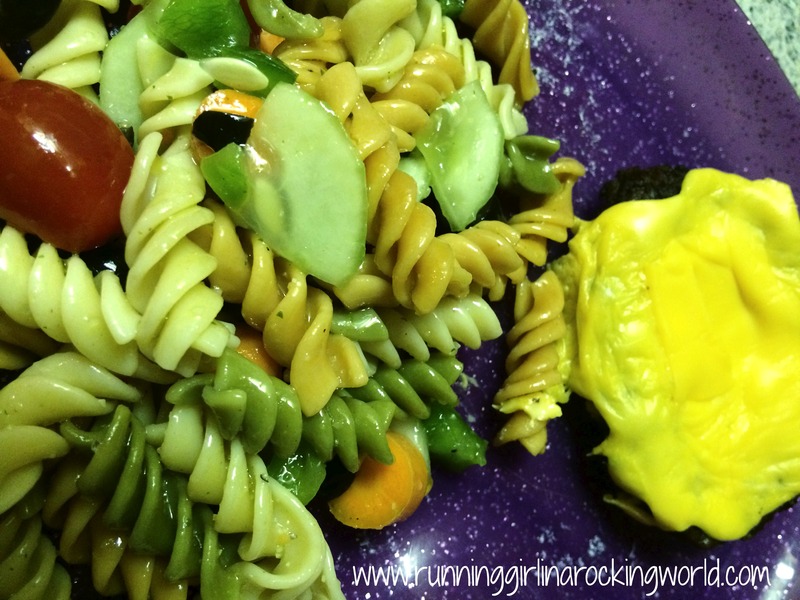 Check what other folks are eating over at Peas and Crayons for WIAW.